I am an object. Use fractions to figure this out. If you take away the whole of me, i get bigger. 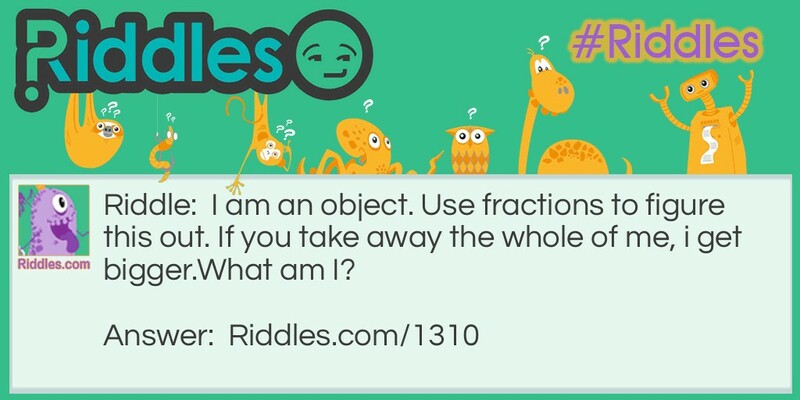 Whole Fraction Riddle Meme with riddle and answer page link.